No radio show this week … and for good reason, because enough is enough … regarding the surface population (at least the awake & aware) taking forever to heal & clear our way back to our true identities … and the MASSIVE power inherent within that, to bust-down the doors of darkness & end slavery in all its forms. And admittedly … my energies are being pushed past my limits with all that’s going on (all good & very exciting), so I therefore need build them up so I can SERVE … during this 100 clearings-in-1 – Massive Internal Compression Breakthrough Webinar – Mass Clearing Session. This ‘Internal Compression Breakthrough’ call (+ the recording you get to keep, to use again, as needed, for any specific issue & to avoid being too dependent on one on one healers) … will involve PROFOUND movement of energy, because unlike most healing methods, it…..
operates from Omnipresence, so you’re not trapped in that frequency prison by clearing & healing your issues in a linear way forever. you work with Macro Levels of Light … Something few know about, partly because they’re from way above the whole MultiVerse, for unprecedented levels of power to ‘rip through’ any permutation & downstream effect of all wounding and forms of interferences. a proper connection with your Omnipresent … all-mighty… I-AM Presence, for even more POWER, and whose Light can clear & free you up to better embrace your BIGNESS, which can handle anything you may be facing right now. Like I said in my last post … due to the intense nature of the current planetary liberation operations (and the huge internal ramifications on all of us) … I simply haven’t had time to do the much needed one-on-one sessions so many require these days. The great news is, what the Teams & I will be doing for you is exactly what I found myself doing for one-on-one clients, with great results. And no … you don’t need to delve into all the details (and details of the details) of an issue, for it to be cleared. This is big … because the limits of your spiritual beliefs & whole energy paradigm, will be pushed to far greater new and exciting levels. … proceeds go to helping the new revitalized, re-vamped PFC Leadership website to fulfill it’s earthly liberation mission of awakening many more people & inspiring them to fulfill their planetary liberation missions! QAnon calls out fakes, in the 3D level of the awake & aware, with comments like “Some are building a big following off this movement only then to retreat and go mainstream… ” and just trying to make money, without really contributing to the liberation efforts. As I’ve said in the past … this game of planetary liberation is for keeps. Just ask Cobra, Sheldon Nidle, and Alex Collier … not to mention the experiences many of us are having with scalar weapons attacks, resulting in heart palpitations … tiredness due to good bacteria in the gut being beamed & not able to process food, … and etc. Cabal faction in Israel says: ” To hell with it … I’ll just start WWIII myself ” … and attacks Syria with mini-nukes. Saudi ruler Crown Prince Mohammed bin Salman taken out, with explosions & gunfire in the Saudi palace. Cobra confirms, plasma toplet bombs are still the main barrier to planetary liberation. 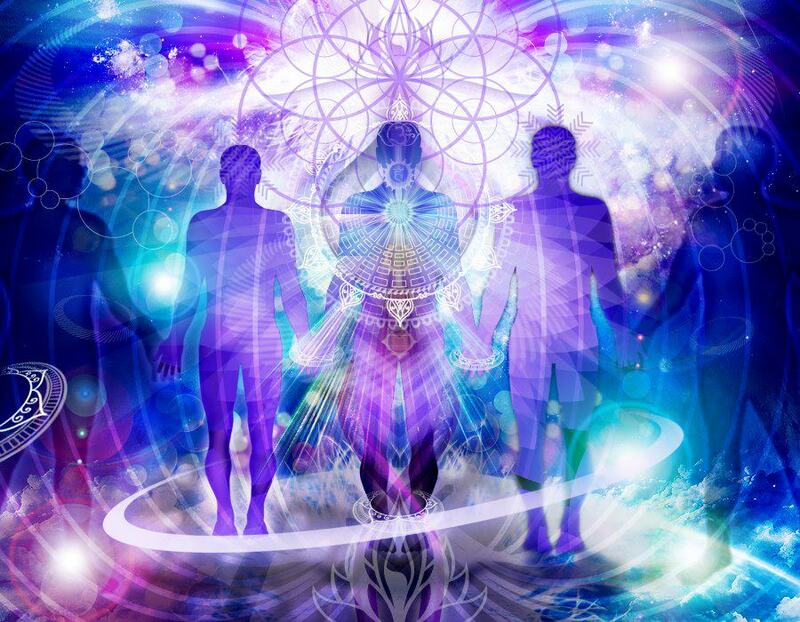 The Unknown Lightwarrior confirms … once that’s completed … it’ll be ‘on-for-young-&-old’ as many surface Lightwarriors will be re-uniting with their off-world military outfits (and their resources), and fly around the whole planet picking up all humans with negative energy signatures (pedophiles, psychopaths, etc) … and taking them to Ganymede for recycling/processing, as it’ll be safe to re-unite after all toplet bombs are removed. FYI: ‘activation of beta timeline’ simply means … ” we have to go to plan B”. Which is not as smooth & ideal a timeline to the Event, but it can easily be quicker if we Lightworkers ‘have-at-it’ with the Mass Meditations (opt-in below, if you haven’t already) and if we employ robust enough internal clearing, to bring far more light into Gaia’s grids through our own personal grids. Cobra assures us: we’ll receive critical intel about our role in Event operations when needed. … and no, Cobra has not been replaced by a clone. Wilcock & Fulford sources claim the battle against the satanic Cabal factions in all federal & state bodies (Deep State) are almost over. When it comes to the Cabal countering with Black Magic crap, the 144k says to the White Hats: ” we’ve got your back”! Cabal tries black-magic moves against Trump … with French President Macron placing a satanic symbol in the Presidential office … and the oak tree planted by him (with Trump) … which later went missing. For now … book your seat for the Massive Internal Compression Breakthrough Webinar on Sunday the 6th, at 4pm EDT …. and download or stream last Saturday’s episode, because if you haven’t listened to that yet, you’ve missed out on some BIG – empowering stuff!